The UK election put pressure on EURUSD. Today there are no important economic reports in Eurozone or the US. The support rests at 1.11980 with resistance at 1.12260 which the weekly pivot point at 1.12150 is located in between the lines. The EMA of 10 is moving with bearish bias and it is above the EMA of 200 and below the EMA of 100. The RSI is moving horizontally below the 50 level, the Stochastic is showing upward momentum and the MACD indicator is in negative territory. The ADX is showing buy signals. 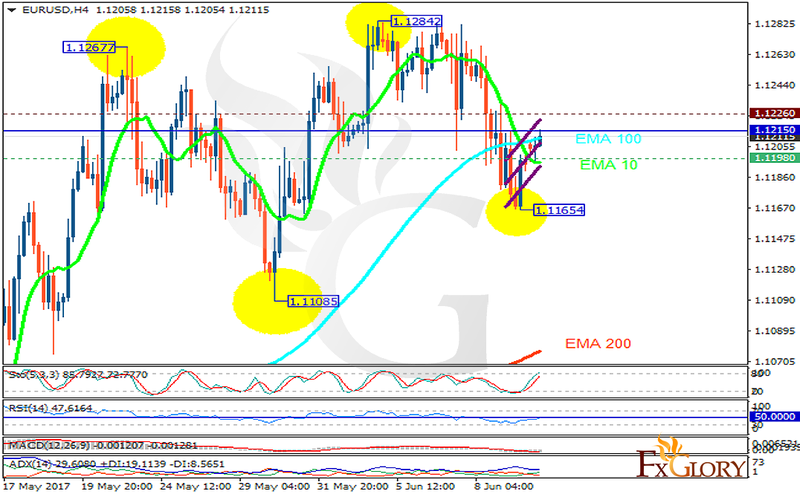 Since EURUSD has already started its correction pattern, long positions are recommended targeting 1.13.